If you looking for clean, simple and elegant design for your website than you are at right place. We are passionate programmers with great dose of curiosity and urge for challenges. We keep a top view of whole system to design app. We believe in making apps which are enjoyable to use. Making software which works for people. Programming - We dive into Ruby and Rails when Rails and Merbs were about to be merged. And involved in development since the release of Rails 3. Since than We haven't gone back to any other things. Its kinda found the language of our choice. 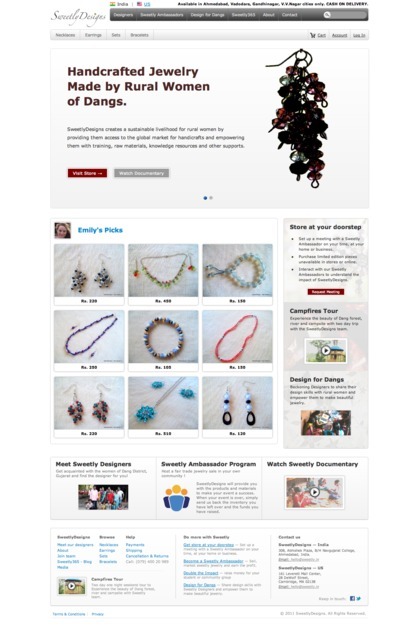 Design - We make designs mainly with HTML. We use open source products like GIMP to make images when needed. We make sure that designs look perfect on every browser (Safari, Chrome, Firefox, Opera, IE). We are big fan of @rjs to learn about designs and UX .